Textrol is a penetrating oil finish for weathered wood with UV protection. 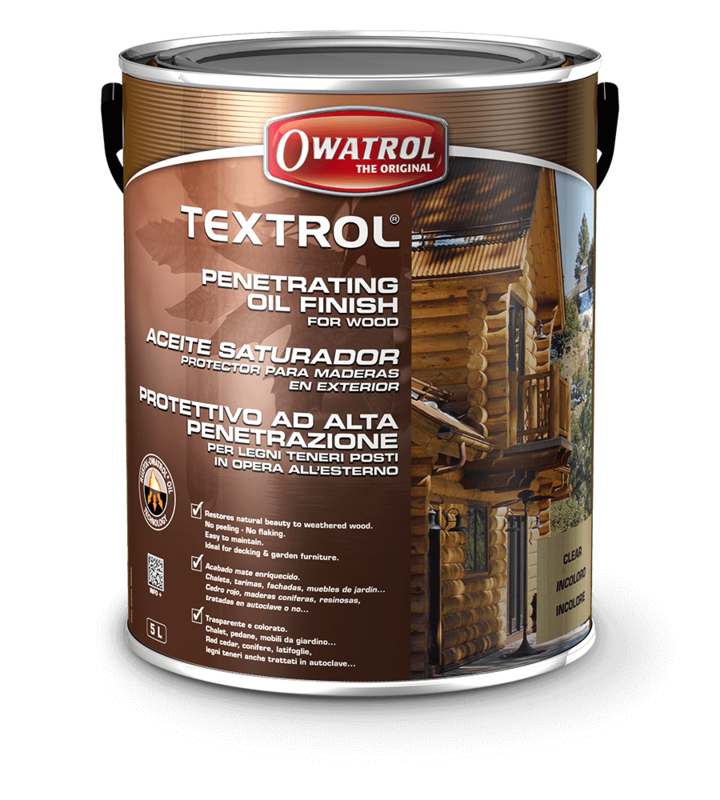 Textrol is a penetrating oil finish for weathered wood with UV protection.Textrol is a very high quality, anti-UV, clear finish that penetrates deeply into the wood to protect it against water & moisture damage. The rich oil look enhances the natural beauty of the wood. Fast & simple to apply, no sanding.